Welcome to the traffic nightmare that is Lusaka. 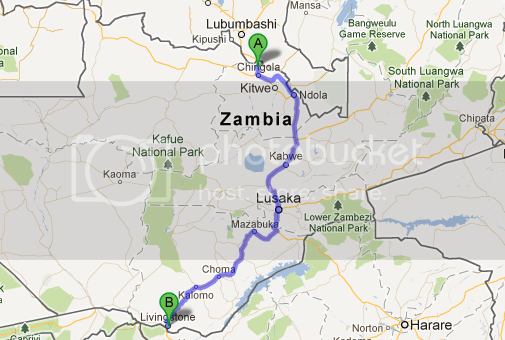 Have been in Zambia for almost 7 years and never enjoy going to Lusaka because of the traffic. It just never seems to go anywhere in a hurry. The rest of the country is great though. I am in Kalulushi at the moment. Much nicer. Hehehehe, Well traffic in Qatar is not much better!! This is so much better for the soul. A lot has happened in the last couple of months, project development is 99% finished and production has started, thus I returned to South Africa a couple of months back and now only do site vists once a month for a week. Lusaka is known for its traffic, but life is much easier there than in the sticks, so each has its pro's and cons. Knowing that it will onlt be a couple of months, you will enjoy it, and from Lusaka, it is very easy to acces the Northern and Eastern parts (North/South Luanga/lake tanganyika) which is the most beautiful part of the country. I hope I get some time to go and explore a bit!! Ag nee man! Ons het nounet begin beplan om Zambie toe te gaan vir ons Julie trip en ek't gebargain om vir jou te kom kuier! Is jy ernstig? Ons kan plan maak dat ek dieselfde tyd daar bo is as wat julle daar is. Maar bygese is dat die Koperbelt nie die mooiste deel is nie, sal nie bother om soontoe te gaan nie, mik liewers Oos, verby Kariba/Luanga Vallei tot by Tangyanika. As jy iets wil weet moet jy asb skree, ken ook klomp mense hier so as ek nie kan help nie, is ek seker sal ek kan uitvind. Hoe presies beplan julle om te ry? Make plan, it is worth it! We worked 6 days a week so travel time was limited and if I think back of all the places I still want to visit, then I believe I should have tried harder when I had the opportunity. Schweet! Baie dankie, ek sal jou beslis gebruik! Het nog geen vaste roetes nie, maak nou nog net plekke bymekaar wat ons moet sien. 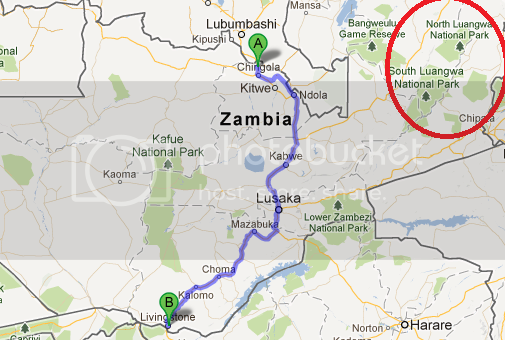 Die idee van die trip is om van Livingstone tot by Lake Malawi te ry. Skree maar net waar ek kan help. Nee ons is so 950km Noord vanaf Livingstone, so dit sal n baie ver ompad wees. I will be heading up to Kasama as well, as it is a fairly large town. Perfect opportunity to explore the Northern Province! Hehehehe, here in Qatar they probably had 90mm over the last 10 years!! !